Vortrag: Endorsing Freilichtmuseum in Preserving Vernacular Houses of Nusantara: shall we? Myriad of traditional, vernacular or customhouses, which still persist in some area of Indonesia, are on the verge of extinction. Salvation effort was aroused in order to save this heritage of civilization, national identity, and local wisdom, all designated for future generations. One considered way is reviving efforts about conserving a la ex-situ in the form of the open-air museum. This lecture aims to describe critically the implementation of ex-situ conservation towards endangered vernacular wooden houses into a form of the museum. Critical frameworks that have been built in this research might be deployed as a trigger in evolving sustainable open-air museum particularly in Indonesia. By analyzing some cases of the leading open-air museums (Freilichtmuseum) in Austria and compared with similar conservation phenomenon in Indonesia, identified several common threads that could be the basis for developing ex-situ conservation concept in Indonesia. Various considerations obtained from the analysis are expected can establish a theoretical framework for producing a guideline (practical framework), which might be used as the blue book for the conservation of vernacular wooden houses of Indonesia. 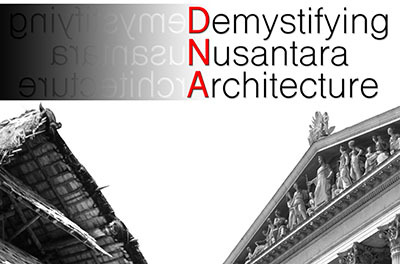 Yusfan Adeputera Yusran Yusfan Adeputera Yusran studied architecture at the Universitas Brawijaya Malang, Indonesia where he teaches the development of vernacular architecture of Indonesia (Nusantara). His research interest focuses on conserving vernacular houses as well as digging the sustainable principles therein and integrate it to modern architectural design. Next → Next post: Vortrag: Bautraditionen in Ozeanien und Indonesien.